The Wismec Reuleaux RX GEN3 DUAL 230W Box Mod presents a modern high-performance vape device powered by dual 18650 batteries with ample output capability of up to 230W and a suite of temperature control adjustments. Designed by JayBo, the WISMEC Luxotic BF is a new squonkermod. The 7.5ml squeeze bottle brings ample space for liquid storage. The Wismec GNOME tank is a durable metal and glass tank with a retractable top filling mechanism and bottom airflow control. Wismec Luxotic NC Dual 20700 Mod Mech Kit is powered by dual 20700 or 18650 batteries and max output can be reached to 250W. Delivers a phenomenal dual 18650 device within a beautifully crafted and compact structure with an integrated 7mL refillable squonk bottle and intelligent chipset. 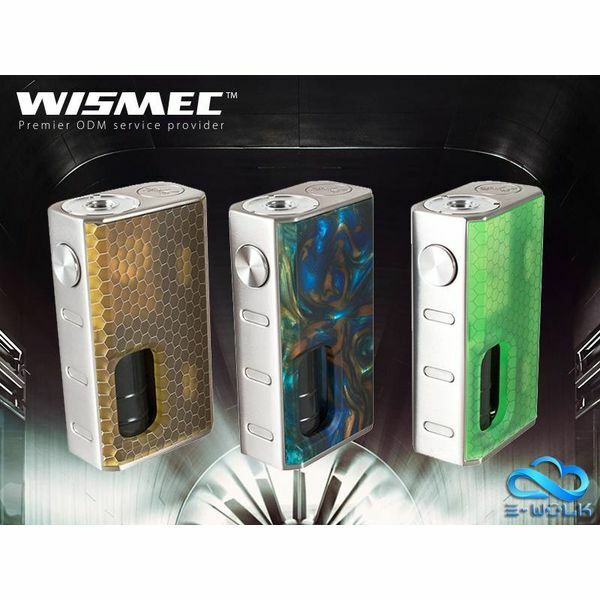 Wismec HiFlask Pod Kit is powered by large 2100mAh biult-in battery and Wismec HiFlask pods cartridge with large 5.6ml e-liquid capacity. A vaping powerhouse set-up, presenting a sturdy zinc-alloy chassis construction, integrated 7.0mL silicone squonk bottle, and is paired with the Guillotine V2 RDA for an exquisite vaping experience. The WISMEC SINUOUS V200 MOD is a stylish and compact vaping device with transparent body. It is powered by dual external 18650 cells and fires up to 200W maximum output power with various working modes. Wismec HiFlask Replacement Cartridge Pod(Without Coils Head) is perfectly for Wismec HiFlask Pod Kit, which has large 5.6ml e juice capacity.